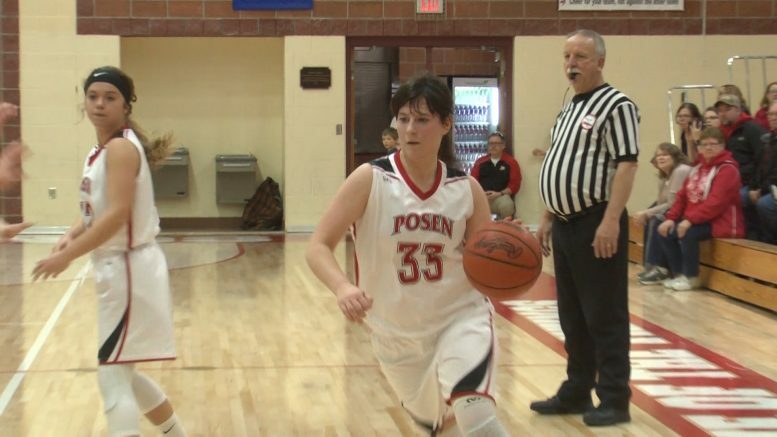 POSEN, MICH — The Posen Vikings hosted the Mio Thunderbolts for a non-conference game. The match was rough and tough, but the Vikings came up with the 58-41 victory improving to a (6-6) overall record. Brooke Ciarkowski led the Vikings with 12 points and Riley Krajniak scored 11. Mio’s Claudia Wilson put up 16 points. Posen has a sizable lead in the North Star League-Little Dipper with a (4-2) conference record. While Mio is in desperate need for more wins to move up in the Big Dipper. Up next, Posen hosts undefeated Oscoda on Thursday.